There’s so much people don’t tell you about the first few months of motherhood with your Little Babe. Can I repeat… SO much. I’m not writing this to be negative about having a newborn, but more to be realistic about what is expected. It’s not all cute matching outfits, strolls in the park, giggles and perfectly staged photos in the most adorable attire! People say, they don’t want to scare you etc. but I am the type of person that would rather know what I’m about to face! Every person says, “Don’t worry, it gets easier.” But they must know that this doesn’t really help when you’re deep in the trenches of keeping yourself and this newborn alive! C’mon people. Work with me here! Here are some things that I have learned this far… From birth on. I’m sure this will be a multi-part post – so stay tuned! 1. Labor pains are like no other pains I’ve ever felt. Thank goodness for the epidural. That drug is freaking amazing. 2. When your water breaks, it’s not a small cute little drip – it’s like the flood gates have been opened and you’re gushing fluid in the most uncontrollable, awkward way. There’s no stopping this with a pad, or maybe even diaper. 3. You get poked, prodded and your sense of dignity goes right out the door. You’re fully exposed with people all up in your… You know – areas. The nurses and doctors will just keep coming in an examining everything. Everything. 4. After your water breaks, you shake convulsively and continuously. They say it’s because of the hormones. It is a bit crazy and it makes you feel like you’re constantly having little seizures. 5. When you’re about to start active labor and start pushing, you’ll have at least 4 people in the room not including you and your significant other. They will be setting up, checking you, coaching you and gowning up. It’s slightly worrisome but at that point you just don’t care and you know the end is near. 6. After the baby pops out, it’s the most surreal moment, ever. Not only have you been growing this baby in you for 10 months but he or she is now IN your arms and alive and well. Fingernails, hair, limbs and all! 7. After delivering, there will be someone coming into the room almost every 30minutes to check on you or the baby. 8. After delivering you have to wear these disposable underwear with a gigantic sheet folded in half with two big pads lined up together. Basically a mom diaper. 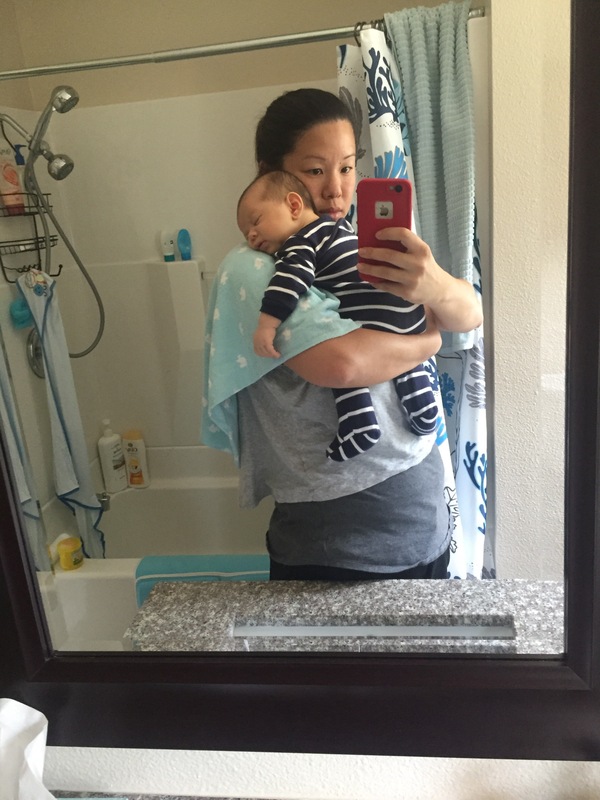 Categories: Motherhood | Tags: baby, baby boy, birth, exhaustion, genuine, Motherhood, pain, truth | Permalink.